Ever since Elizabeth Lumley, Director Global Ecosystem Development at Startupbootcamp FinTech and Startupbootcamp InsurTech, so adequately phrased this in an interview I have consciously started to explore ways to influence this and promote the financial sector as an exciting field of work for professionals from across industries. Shocking or not, women are still underrepresented in the world’s fintech companies. Having worked for a couple of years in the finance industry I’d like to take this opportunity to talk about a topic very close to my own heart: women in fintech. While always cheering for women in technology and hoping to see more gender (and other) diversity in the male dominated financial sector, I have been lucky enough to be supported and mentored by great leaders of both genders. But the numbers don’t lie — the industry has a long way to go and we all can have a positive impact. A recent study conducted by Innotribe suggests that fintech is not only challenging the banking status quo. It can also be viewed as a driving force that can democratise financial services for the 2.5 billion people globally who are still lacking access to basic financial services and even bank accounts. The disruptive financial companies have changed both the technology side and business models but the issue of gender diversity still remains. It’s been two years since I started working at Holvi. We are a company from Finland, one of the best countries in the world to be a working woman. 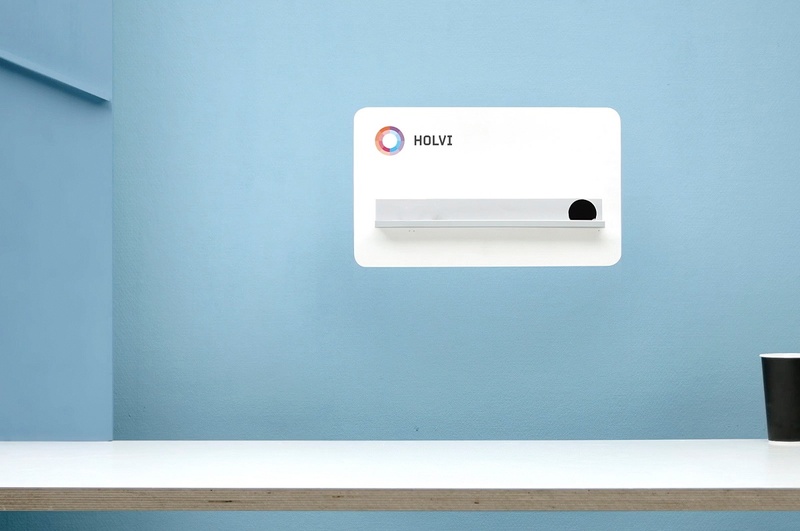 Currently Holvi is a team of 20 people and eight nationalities. When building our team, our focus has always been to find the best possible talent that also fits our company’s culture, regardless their gender or nationality. One of the things I love most about Holvi is the diversity of our team, which gives us a great competitive advantage in the traditionally very homogeneous banking industry. Each of us brings a unique perspective to the table, which allows us to innovate in great ways. I am not saying that we have it all covered just yet, as women are still a minority at our company too. But since the beginning it has been our priority to promote a culture of equality, give talented people the means to grow and recognise their commitment. Personally, I have been privileged to grow into my role with the support of a diverse group of industry insiders and the most knowledgeable colleagues I could have wished for. All in all, the very inclusive and transparent culture we are cherishing and intentionally cultivating at Holvi allows everyone to get more engaged and involved with everything we do. Research shows that more diverse teams have more successful outcomes. This applies also to gender diversity. There is a direct financial correlation to success, but the financial impact isn’t materialised until women constitute at least 22% of a senior executive team. A financial company that publicly promotes diversity and equality is often more attractive, especially for the working millennial. A study conducted by PwC suggests that more than 87 % of female millennials say that an employer’s policy on diversity and inclusiveness plays an important role when choosing whether to work for them or not. Women working in technology want to develop their individual careers while being part of a company that promotes positive values. At the moment, women represent 60% of all financial services employees but the underlying question remains — why are we not rising through the leadership ranks on par with our male counterparts? Reasons can vary from unintentional discrimination to lack of clarity about the factors used to select future leaders. But it can also be because women are less likely than men to stretch out of their comfort zones and this reluctance to take career risks could be holding them back. Change is best led by example. And we already have a lot of inspiring female role models in fintech. Just to mention a few, Anne Boden, the CEO and Founder of Starling Bank and Eileen Burbidge, Partner at Passion Capital and fintech advisor to the UK Treasury and, of course, pioneering female voice Elizabeth Lumley. And many more. Shining a spotlight on successful women in fintech will eventually inspire more women to aim for leadership positions. Mentoring also plays an important role. Many female founders and employees feel that mentoring helps them advance in their career. But as sometimes mistakenly interpreted, it is not only about women inspiring women. The study reveals that 47% of female founders agreed that both genders were seen as having an equal influence. There’s a lot to be done to bridge the gender gap in financial services, as in many other industries. Join us in bringing more diversity to fintech - our doors at Holvi are wide open for talented professionals across different fields. Holvi is a new kind of banking service for entrepreneurs. The heart of Holvi is the current account and debit card. Besides traditional online banking features, Holvi is equipped with handy tools for invoicing, online sales and bookkeeping.